Energetic and exotic, Vietnam’s capital Hanoi is an exciting assault on the senses, where Parisian grace mixes with modern Asian living. 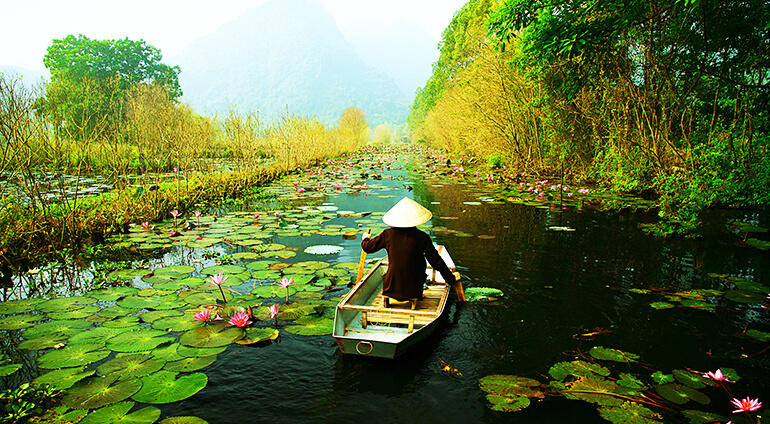 Located on the banks of the Song Hong (Red River), the name Hanoi roughly translates as ‘city in a bend of the river’. Home to 6.5 million residents, the streets are alive with the noise of an estimated 4 million motorbikes and the tempting smells of hawkers selling street food and drip-coffee. From the thriving Old Quarter to the leafy French Quarter, Hanoi is a city managing to modernise in style.